Alright folks you asked for it. Well you didn’t but I’m going to give it to you anyway. 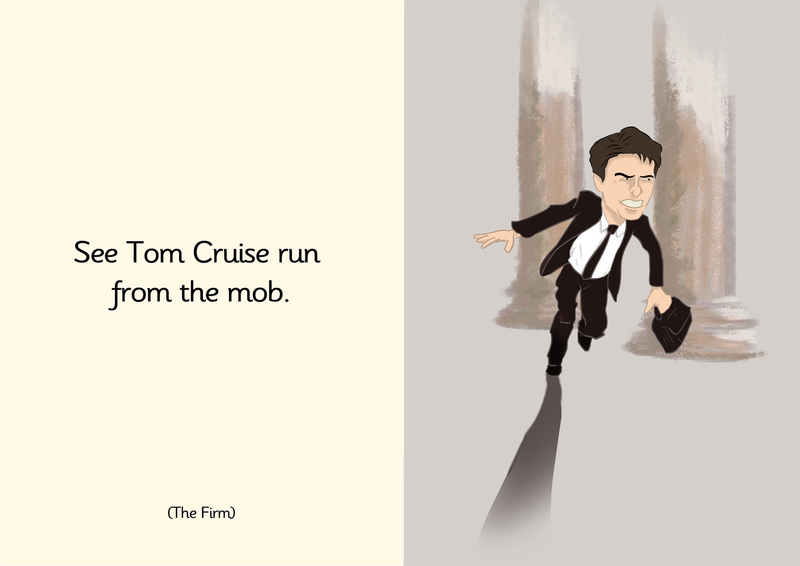 This here is an unfinished sneak peek from my upcoming childrens book See Tom Cruise Run. It’s two thrids done so am optimistic it will be done by the end of the year. This entry was posted on November 6, 2013 at 15:18 and is filed under General, Illustration. You can follow any responses to this entry through the RSS 2.0 feed. You can leave a response, or trackback from your own site. Super offbeat, I love it! Hope your project goes smoothly.